Catherine E. Byfield was born in Ohio, USA and moved permanently to the UK in 1978. She is a graduate of Lucy Cavendish College, Cambridge, where she read Anglo-Saxon, Norse and Celtic. Her main scholarly interest is Medieval Welshdialogue literature. 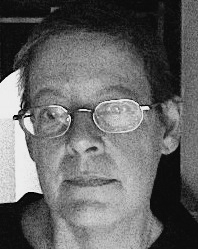 Her publications include a study of the Pedeir Keinc y Mabinogi, and Welsh translations of the Ioca Monachorum (co-authored with Martha J. Bayless. With Norman Jope and Paul Scott Derrick, she co-edited a critical edition of the poetic workof Richard Berengarten, a UK poet. She is currently preparing editions and translations of four Medieval Welsh texts, with critical commentary, while writing poetry and short stories, and working on her first novel.